The Royal Institute of Management will be providing free IELTS tutorial class for candidates registered for 2nd April, 2016 exam with the IELTS Centre at RIM. 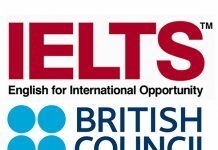 The IELTS Tutorial will begin from 14th March 2016 to 25th March 2016 at the RIM campus time: 5.30 PM to 7.30PM (2 hours). Interested candidates who can genuinely attend the tutorial class for all the duration mentioned above are requested to confirm your attendance for the tutorial in order to make necessary arrangements as required. For further information, please contact Mr. Tashi Phuntsho 17609172/351013/351014/ Ugyen Sonam 17862452 /351013/351014/ from 9am – 5pm during office hours only.